Ever thought of creating your own free android apps online without any investment. Instead of paying money to someone else to develop an app, You can create your own apps that too within minutes. Yes you can create Professional android apps for free that too without any coding knowledge. There are so many websites which offers users to create free android apps of their own for free. There is no need of any special coding knowledge to create some free android apps. Many peoples thinks to make money by creating & selling their own custom android apps with millions of users. But when they hear about coding knowledge then they take a step back. Because not everybody can learn & understand about coding. Coding is actually quite difficult subject to learn. There are many websites offers free making of android apps with zero coding skills required. sounds cool right. so let’s check it out. listed below are some of the best websites which offers FREE making of android apps. Appsgeyser is one of the Best and easy to use free Appmaker & Game maker website. Users can easily convert their content to their desired app. 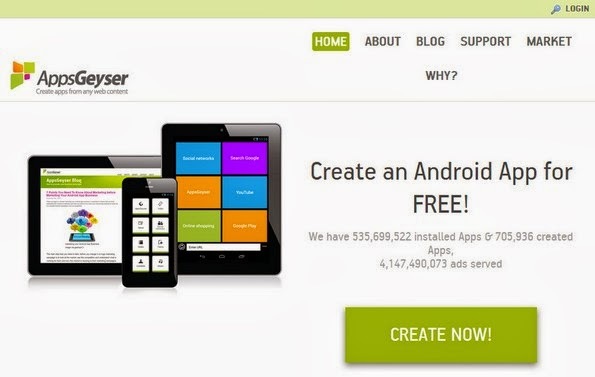 Appsgeyser let’s you to create unlimited free android apps & Games. All created apps are free to publish without any restrictions. Some of the top categories are website apps, Messenger apps, Browser, stocks, Image feed, Meme Maker, Video Downloader, Mobile tv, Live wall paper, Map, calculator and much more. Check this link to find out available categories to create free apps on Appsgeyser. 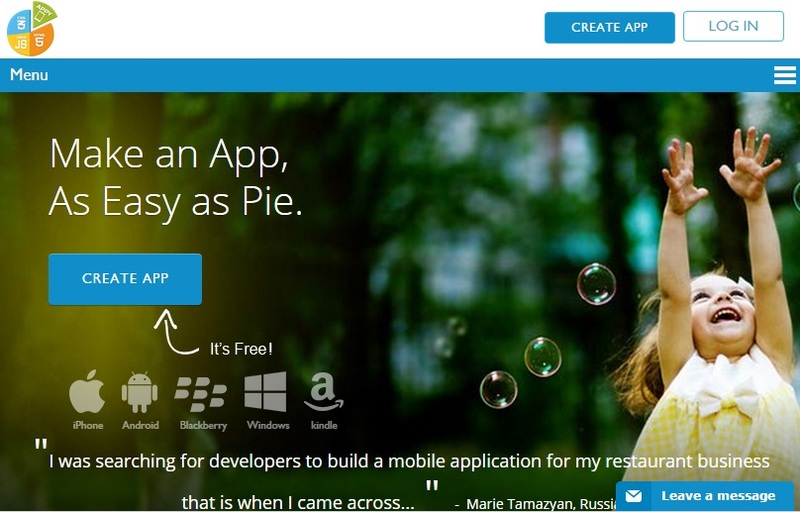 Appypie is an amazing website to build your own custom app. Appypie is one of the top free website which offers free making of android apps without any stress & hard work. Most famous sites around the world like Yahoo, Mashable, The Huffington Post, Yourstory, Macworld, Nextbigwhat, Techcrunch etc., are referred Appypie to others in their articles & posts. Appypie is really a user friendly website. the making of free apps is easy & fast. No coding skills required. Just drag & drop. Created apps can be easily monetized with Ads. Publish the apps on Apps store, google play & iTunes, share with your friends & all app publishers will get real time analytic’s report. 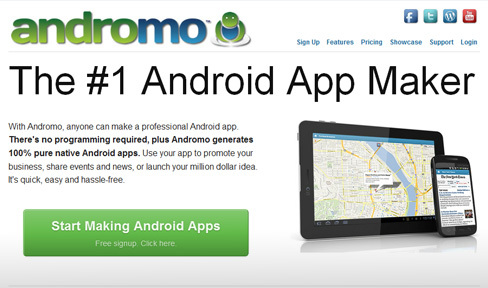 Andromo allows you to create your own powerful custom android apps in just minutes for free. There is no need to do any hard work here. Simply click through list of menus to create your app. You can build your own app with your own contents or you can choose the existing contents. You can always customize your apps appearance, usability to your needs. 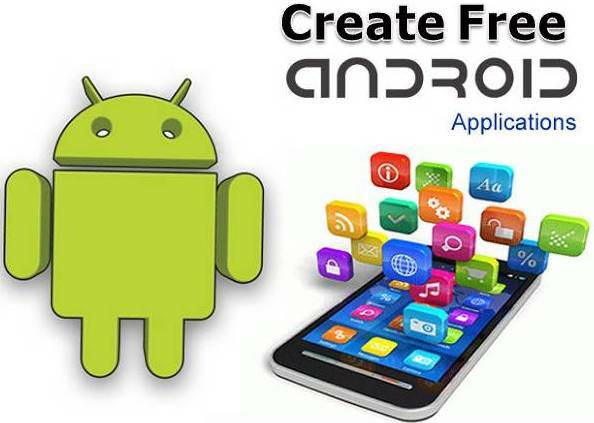 Creation new android apps with Andromo is very easy & quick. Once you successfully built your custom app, Andromo app maker makes it very easy to download the app so you can showcase your app to others. Appyet is a great platform to create own professional android apps. Creation apps in appyet is real easy which only takes few minutes & No coding or Programming knowledge required. App makers just need to provide links to Rss/Atom feed or Website & they are automatically converted into Pure stunning apps which can be later published to Android App market, play-store etc. Publishers will get full freedom to publish their created app to different app stores & also they can make money by monetizing apps with ads. Appsbar is another good platform to create free android apps. All newbie app builders will look for easy to use platform to create free apps. Apps bar is one of the best platform for those who are looking for easy, fast & best app maker website without any coding skills required to create apps. There will be many categories available for users from which they can choose their desired category such as Music, Events, Business and much more. Actually there are tons of categories available in the Appsbar which best suits for the user needs. There are many features available in appsbar from which users can Design & preview their app any time. users can change or edit their apps at any time. 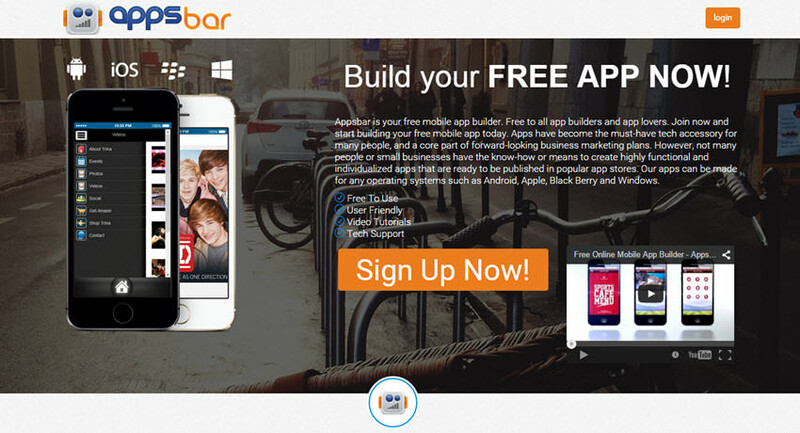 This actually makes appsbar as one of the best platform for Easy creation of Free Smartphone Apps. Once the creation of apps is completed, then publishers can publish their apps to Apps-market & they can monetize apps with ads to make money from every installation of the app. 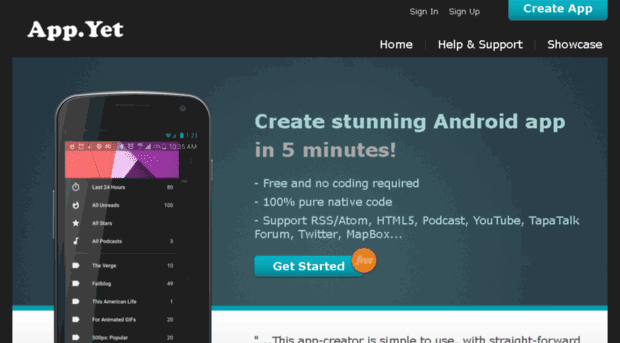 Makemedroid is a simple & powerful website to build free android & IOS apps. There is no technical knowledge required. There is nothing to install on your PC. No software required to build apps. Simple mouse-click customization without any plugin or software to install. Makemedroid is a click based editor & Creation apps is very fast. Users can create free apps within 10 minutes of time. Makemedroid is very good platform for newbies to create their first free android & IOS apps online. Mobincube lets users to create Free androind apps, Iphone apps, Windows apps for free without any investment & without any coding skill required. So this means mobincube is not only for reserved android apps, instead users can create stunning iPhone & windows apps also. As all the other apps mentioned above, Mobincube is also a good platform for both newbie & skilled app creators to create their own custom apps in just minutes for free. Mobincube offers Affiliate commissions, which means whenever users introduce new members to mobincube they will earn 15% of the revenue generated by those members. Having sound knowledge on Mobile application development tools will help you to create an excellent app. Now-a-days, Java is being used extensively for mobile app development, so it becomes necessary for me to stay in touch with Java experts through several blogs and forums.